Hope everyone is enjoying their weekend! I’ve seen this contest mentioned over the last couple of days and wanted to get the word out. Dimples BBQ Sauce is giving away a bottle of their totally awesome BBQ Sauce (which I’ve recently reviewed) as well as a t-shirt. The contest ends today (November 6) at 8:00pm EST. Like the Facebook page for Dimple’s BBQ Sauce and mention that The “Q” Review sent you (that is who is running the contest with Dimples). Leave a comment on the blog for this contest on The “Q” Review. Dimples BBQ Sauce Makes Me Smile! After reading a review done by my good friend and colleague Wilfred Reinke (aka the Oshawa Ogre) on this sauce, I knew I had to give it a shot for a couple of reasons. 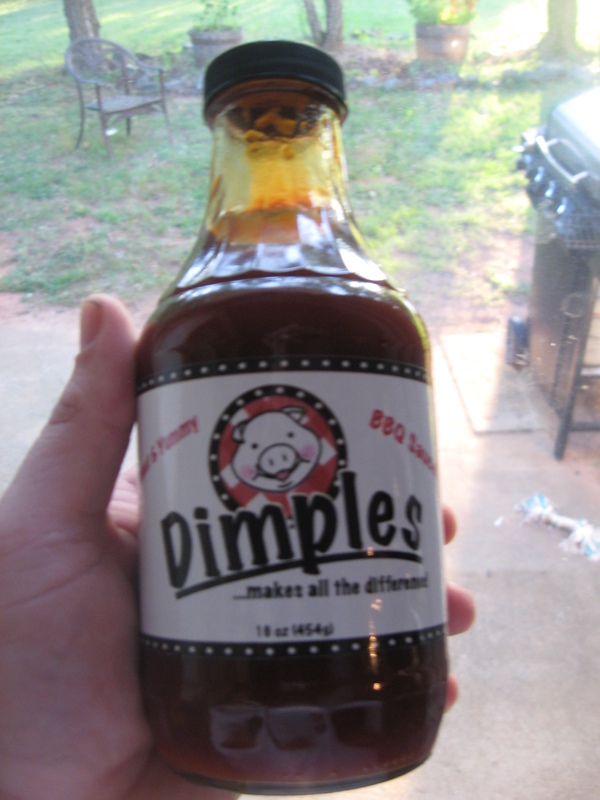 First off, Dimples BBQ Sauce is a North Carolina product, and I’m always game for trying local products. Second, if it gets a great review from the Oshawa Ogre, then I’m more eager to try it! A few weeks ago, Dimples BBQ Sauce ran a contest on Facebook giving away a bottle of sauce. While I did not win the contest, Rich from Dimples was gracious enough to send me a bottle to review. I finally got a chance to try it out tonight. 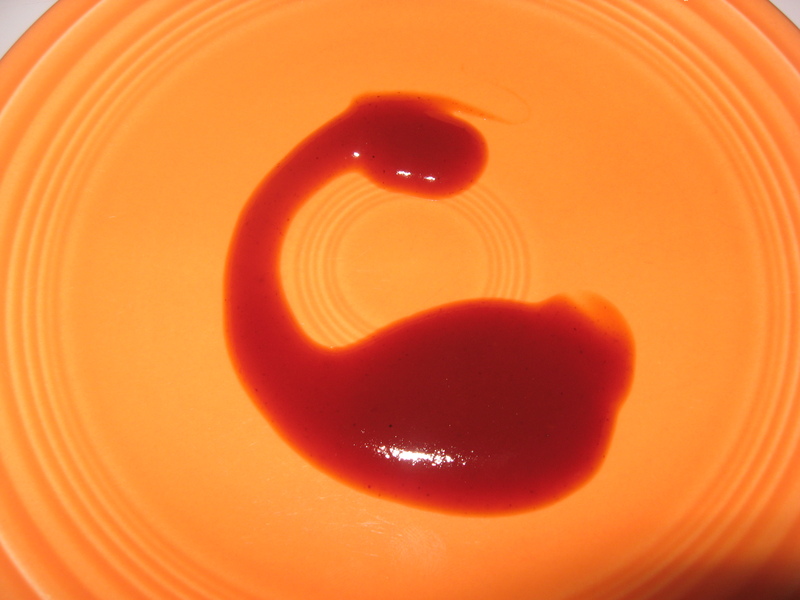 A little bit on Dimples — the sauce is the brain child of Rich Campana of Raleigh, NC. Like all good sauces, Dimples got its start from hearing people say over and over that they should sell the sauce. The sauce has a nice, smooth texture. There’s not much in the way of spices or pepper flakes visibly present in the sauce. Thickness is good… not too thin, but not so thick that it’s hard to pour out of the bottle. So like I do with all sauces, I take a taste. WOW! This sauce has a great flavor! It’s a great sweet and smoky sauce. Not a lot of heat on this sauce. All in all, my taste buds were jumping for joy, and I was looking forward to how it’d work on some meat. My wife pulled out some leftover pulled pork out of the freezer from a cook I did a couple of weekends ago. So it was time for some pulled pork sandwiches! 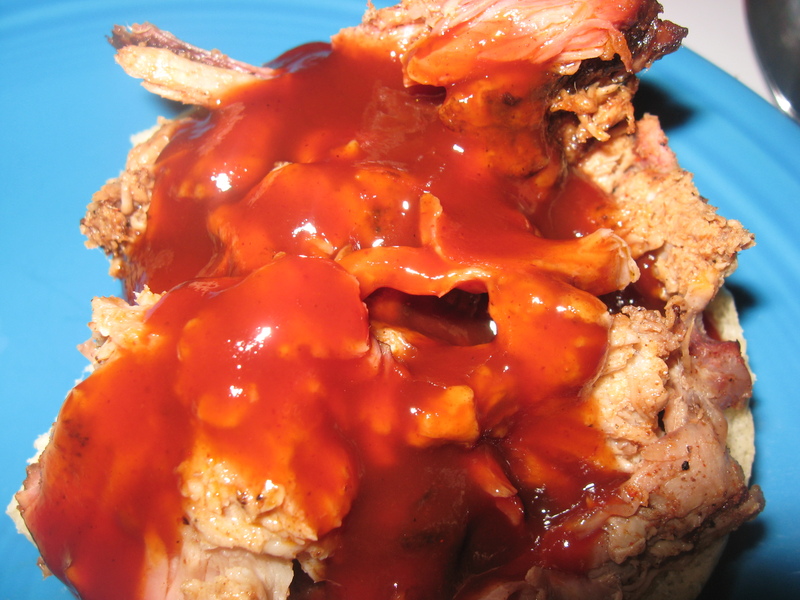 The sauce blended very very well with the pork! 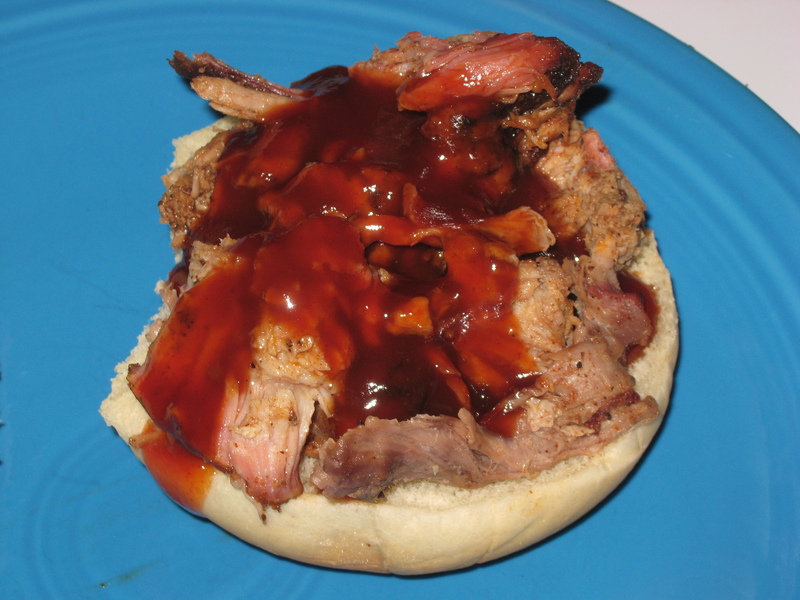 The flavors complemented the pork in a beautiful blend of BBQ harmony. I could use this sauce with just about everything — especially a nice rack of ribs!! This is a sauce that I wholeheartedly recommend with no reservations whatsoever! Rich, if you’re reading this… I can’t wait for you to get your product into the Charlotte market! Dimples BBQ Sauce can be found online at http://www.dimplesbbqsauce.com. You can also find them on Facebook. This is a quick “post and run” blog post while I’m on my lunch break. I just came across a great contest while browsing Facebook courtesy of Dimple’s BBQ Sauce. Dimple's BBQ Sauce. Image courtesy of Dimple's BBQ Sauce. Like the Dimple’s BBQ Sauce page on Facebook. Suggest a new sauce flavor by posting on their wall. Winner will be chosen on Monday by random number generation. If you do enter, tell them that Big Wayner’s BBQ Blog sent you. I would greatly appreciate it! All content on this blog is copyrighted and licensed under the Creative Commons Attribution-NoDerivs 3.0 Unported License. In layman's terms, if you want to use all or part of any blog posts, please contact me and ask. Chances are good that I'll be happy to let you use content in your own works in return for a link back to this blog.